I absolutely LOVE how this page came out. This was my son's Halloween costume. Font is PC Flower Garden from Provo Craft Hugware "The Font Factory" CD ROM. I colored it in using Microsoft paint. 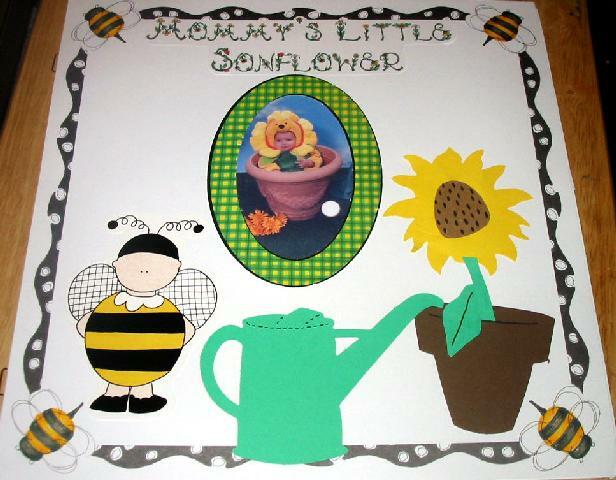 Used a sunflower, wateringcan & flowerpot die cut. The bee die cut is from Frame Ups. Paper is by Me & My Big Ideas.